13:43 | Lima, Oct. 24. 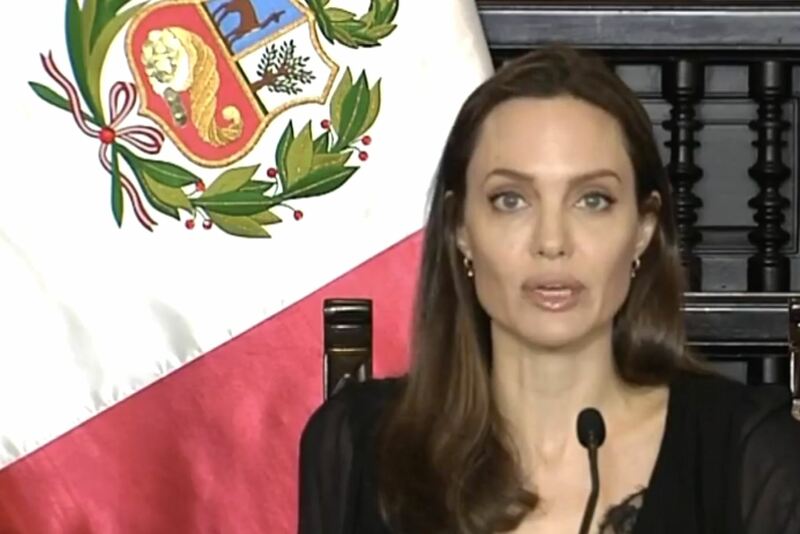 United Nations High Commissioner for Refugees (UNHCR) Special Envoy Angelina Jolie on Tuesday expressed her gratitude to the Peruvian people for their solidarity with Venezuelan immigrants and their response to this cause. Earlier, the actress held a meeting with Peruvian President Martin Vizcarra. On behalf of the UNHCR, she thanked him for giving Venezuelan immigrants the opportunity to legalize their status, thus allowing them to access basic services. According to the artist, they also discussed what the international community should and can do to support Peru and its neighboring countries concerning this matter. As is known, the 43-year-old pays a visit to the South American country. On this occasion, Jolie met with Venezuelan immigrants in Lima and northern Tumbes region. "I have been deeply touched by the dignity and strength of the Venezuelan refugees I have met on this visit and by the warmth and generosity of the Peruvian people," she expressed. According to the Academy Award winner, this region is facing one of the largest mass migrations in its history, adding the crisis is all the more shocking for being predictable and preventable. "None of the Venezuelans I met want charity. They want an opportunity to help themselves," she stated. Additionally, the UNHCR Special Envoy mentioned 68.5 million people around the world have been forced to leave their homes, which means one person is forcibly displaced every two seconds as a result of conflict or persecution. "Tu causa es mi causa (Your cause is my cause)," Jolie concluded in Spanish. Remarks were made during a press conference at the Government Palace, where she was joined by Foreign Affairs Minister Nestor Popolizio.